Dieting leaving you with that empty feeling? 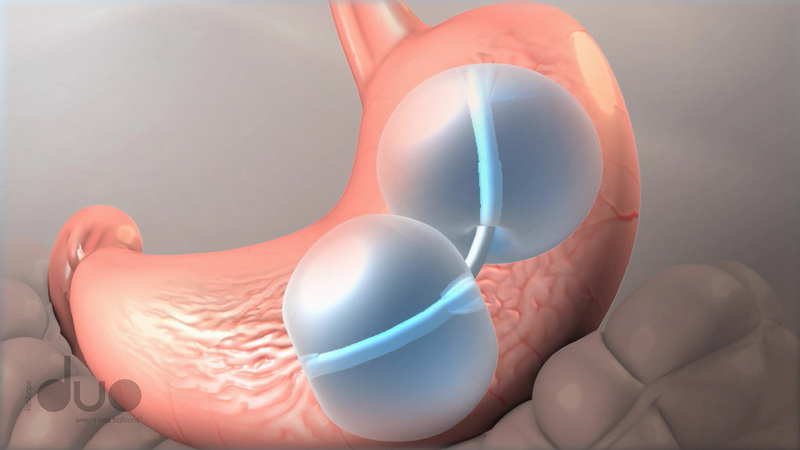 The FDA Tuesday approved a new device to fill in for food in the stomachs of weight loss practitioners with a device that requires no surgery: a dual balloon system. Although medical professionals do not fully understand how filling the stomach triggers feelings of fullness — even in the absence of actual food — they understand that it works. The ReShape Dual Balloon device is placed in the stomach through the mouth. The typical procedure is a 30 minute minimally invasive endoscopic one, according the the FDA. Unlike some surgical measures undertaken to lose weight, the balloon does not alter the stomach’s anatomy. The balloon is meant to be used for around six months while the person also exercises and follows a medically supervised diet. The balloon is not meant for all dieters. Only obese adults with a body mass index of 30 to 40 kg/m and who have one or more obesity-related conditions, such as diabetes, high cholesterol and high blood pressure, are recommended to try it. The FDA made their decision on the balloon after the successful results of a clinical trial in which 187 obese participants ranging in age from 22 to 60 lost an average of 14.3 pounds (or 6.8 percent of total body weight) in six months, and who kept off around 10 pounds after six more months. This was contrasted against a control group of roughly the same size who lost only 7.2 pounds in the first six months. The device is not recommended for those who have had previous gastrointestinal or bariatric surgery or who have been diagnosed with inflammatory intestinal or bowel disease, large hiatal hernia, symptoms of delayed gastric emptying or active H. Pylori infection, nor is it for those who use aspirin daily or who are pregnant. Potential side effects for the procedure, the FDA warned, include headache, muscle pain, and nausea from the sedation and procedure; in rare cases, severe allergic reaction, heart attack, esophageal tear, infection, and breathing difficulties can occur. Once the device is placed in the stomach, patients may experience vomiting, nausea, abdominal pain, gastric ulcers, and feelings of indigestion.